Rintoul: Antarctica is remote, but it's closely connected to the rest of the world. The volume of ice in Antarctica — if it were all to melt — is enough to raise global sea level by more than 50 meters [more than 160 feet]. 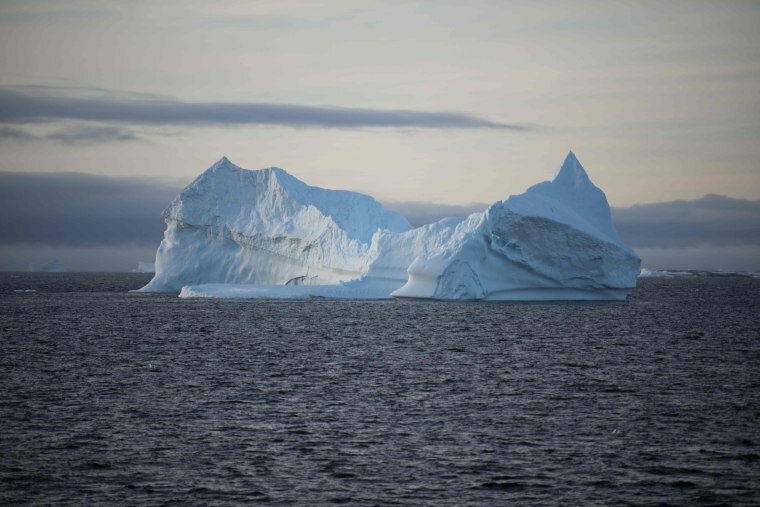 Even a small change in the Antarctic ice sheet might make a big change to sea level. The Southern Ocean also controls how fast climate changes for a given amount of greenhouse gas emissions. That's because the currents in the ocean take up heat and carbon dioxide from the atmosphere and store it in the interior of the ocean — that acts to slow the pace of climate change. If the Southern Ocean currents were to change in the future, that might either accelerate or decelerate the rate of climate change. The new study presents a record of how the Antarctic ice sheet has changed over the last 25 years. This is now the longest and most complete record we have, and it's still pretty short in the lifetime of an ice sheet. But over the last 25 years, the Antarctic ice sheet has lost about 3 trillion tons of ice. That's a very small fraction of the total Antarctic ice sheet — about 0.01 percent. But even that small change has been enough to raise global sea level by a measurable amount, and the rate at which Antarctica is contributing to sea level rise is accelerating. Over the past five years the rate of ice loss from Antarctica is three times what it was 25 years ago. We're already noticing the sea level rise that has happened to date. The flooding in New York with Hurricane Sandy would not have been as serious as it was if sea level had not risen over the last century or so. And in many coastal environments around the world, we're seeing an increase in the frequency and the size of coastal flooding. We're feeling it already even with a global sea level rise which is much smaller than what's forecast to come in the coming decades. It doesn't sound like very much, but the effect of storms or high sea level events is more serious because it comes on top of a higher baseline. And so, the frequency of coastal flooding increases with time and the magnitude of coastal flooding increases with time as the average sea level rises. A study estimates that the damage caused by coastal flooding in about 150 coastal cities will reach a trillion dollars a year within the next 50 years — if we don't protect the coast. And the cost of protecting the coast will be about $50 billion a year. It doesn't take a huge amount of sea level rise before we're coping with a flood event that used to happen once a century now happening once a decade. One way to think about it is that to keep temperatures below a certain threshold — say, to keep warming below 2 degrees [Celsius] like the Paris [COP21] agreement set out to do. We have a budget of carbon that we're allowed to spend, and we've already spent about two-thirds of that budget. The longer we continue to emit high levels of CO2, and spend that budget, the less we have left for the rest of time. And so, it really is important to turn that emissions trajectory downward as soon as we possibly can to buy us more time. I don't downplay the challenge of fully realizing that low-emissions trajectory. And the longer we wait to turn emissions around and start decreasing the amount of greenhouse gases we emit, the more difficult it becomes, the more costly it becomes and the more quickly we need to do it. The causes for optimism, and there are some, are that some groups in nations, industries, communities and regions are starting to take this seriously. They’re taking it seriously both because they appreciate the consequences of not acting but also that they see opportunities in a low-carbon economy. It means we don't have to wait for the political system at the national level to reach agreement that we're going to get serious about action. We can do it in smaller steps taken by many individuals and groups around the world.